I will be honest with you; until this year, I never thought I would be the person who’d research the web for hours and will be testing out dozens of products to help me… fall asleep. I was never a person who struggles to get the nightly ZZZs; sometimes I even thought falling asleep might be my foremost superpower. But then something changed, life got faster, a freelance job more stressful and in general, I became more sensitive to everything that happens to me. -invited. I did my research to see how I can improve my sleep and get back to having the restful nights. Unfortunately, we are not in the ideal world everyone would be able to rest their head on a pillow and drift off into dreamland. 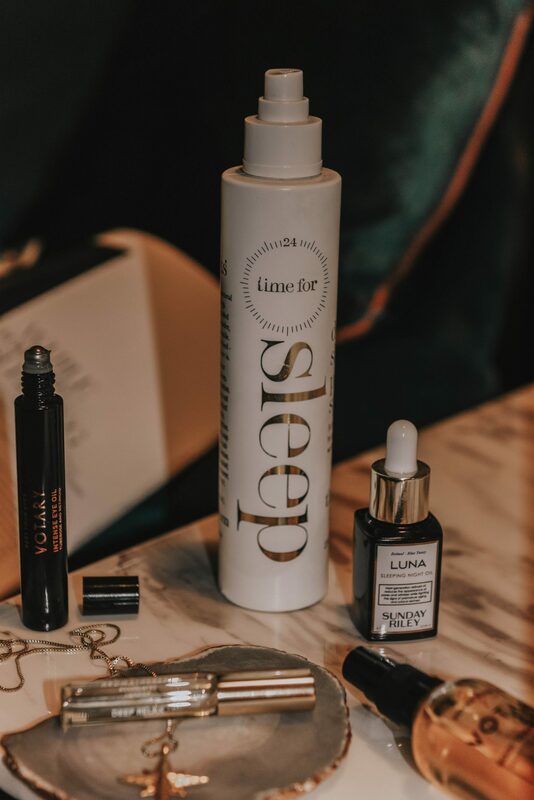 Many people, in fact, struggle with sleep deprivation and a lot of the beauty and lifestyle brands are now filling this niche with the various products that are tailored for the better sleep. In the past months, I’ve tried many of them and here is the top of my favorites that make me relax and made a noticeable difference to my sleep. The Pillow spray by This Works is probably the most popular product tailored for better sleep. The brand was one of the first ones who discovered the niche in the market and created the spray that helped so many people around the world fall asleep faster. Formulated with Lavander, Vetivert and Chamomile oils, the spray is the natural and aromatherapeutic solution. I was of course super sceptical whether it would work on me, but it did. If you’re the sort who tosses and turns for half the night, thinking about tax bills and emails you haven’t sent, then you need a bottle of this. 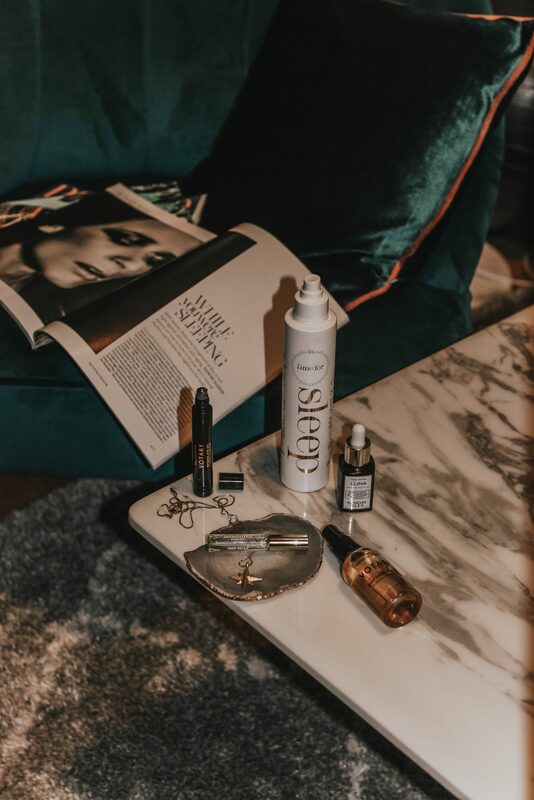 If you say oils, I say Votary – the brand is focused around oils and their effect on our skin and wellbeing. The Body Treatment Oil works great on the dry patches and really helps to keep your skin soft during the colder months. This is a truly SOS oil that you can apply to your skin only a couple of times a week. However, I also use it as a part of my calming, aromatherapeutic ritual before I go to bed. Enriched with grapeseed, plum seed and bergamot extract, the formula calms while soothing, perfectly suitable for rough and tired skin. *I’d also recommend to use it on your feet and leave it to soak in overnight by wearing socks. 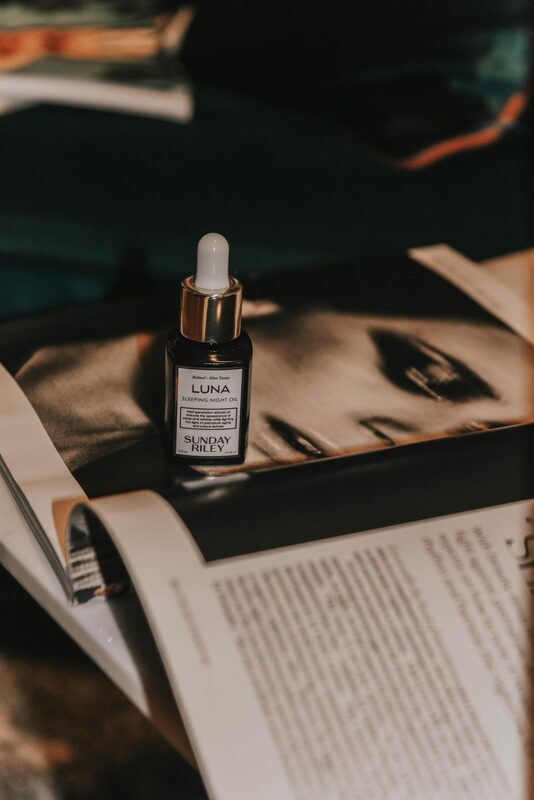 Celebrities favourite, Sunday Riley’s ‘Luna’ is a retinol-rich night-time treatment which works to reduce signs of ageing and damage while you slumber. I introduced this mesmerising blue elixir to my skincare routine a month ago, and it was the first retinoid product in my evening routine. The oil is enriched with cold-pressed avocado, chia and grape seed oil, which helps to restore hydration and plump skin. I apply it as the final step of my skincare routine, and since this product is thick and is not one of those that sink in instantly, I always spend a couple of minutes to massage it into my face, and it always feels like a mini facial before bed. Think of this as a stint in skin-rehab; it works hard to reverse the day’s damage and neutralise free radicals, so you wake to a beautifully smooth, ‘plumped’ and luminous-looking complexion, meaning your skin is getting the best from your beauty sleep. A good night’s sleep is written all over your face. The skin around eyes is the first place to show when we are tired, with dark shadows or puffiness, and it’s also the first place to show signs of ageing, with fine lines and a loss of firmness. It can be hard to find a product that addresses all these issues and is also soothing and pleasant to use. 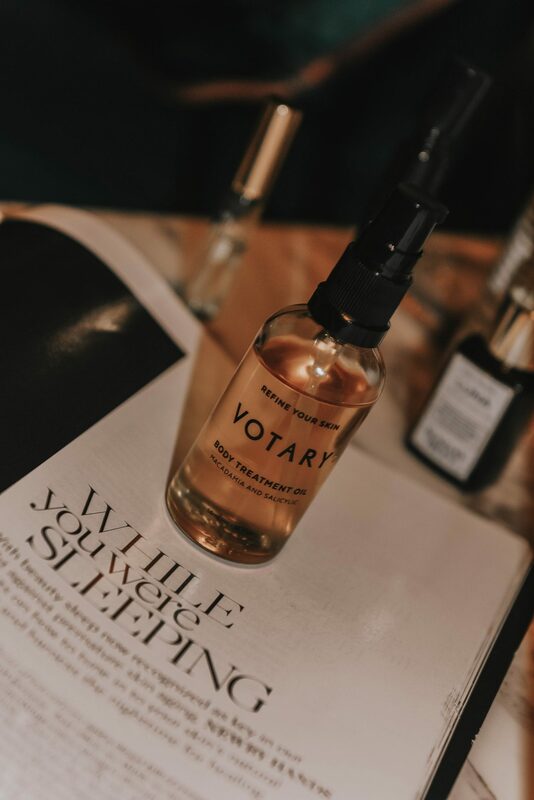 Votary Intense Eye Oil is a powerful blend of natural plant extracts and oils boosted by a gentle retinoid to smooth and hydrate, improving the appearance of fine lines while you sleep. Tuberose extract firms and brightens the eye area, while sweet Iris works on the dermis, encouraging cell regeneration. Acmella provides a gentle tightening effect. 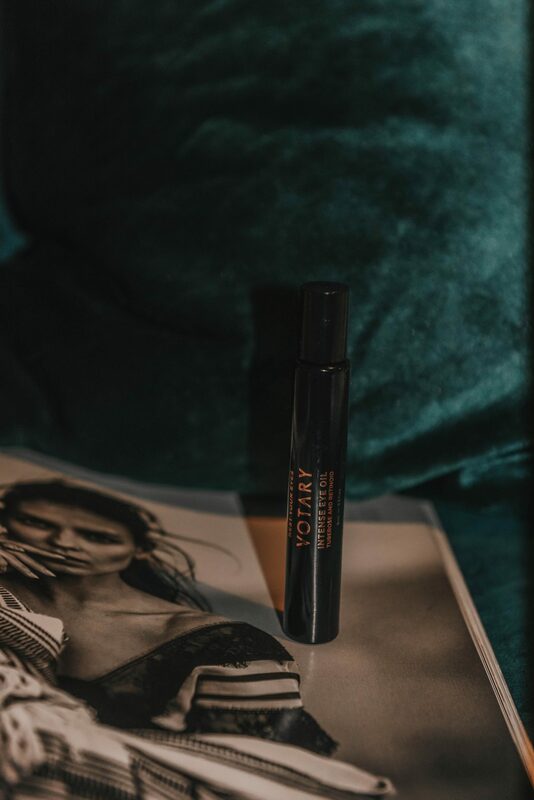 The oil comes in the small tube with a roller ball end that dispenses the ideal amount of oil in just two sweeps, and it really helps to get rid of the tension around the eye area. Aromatherapy Associates is known for creating products that have the therapeutic effects of essential oils that help in the daily life. I genuinely cannot live without the Deep Relax Roller, because of the convenient size I carry it with me everywhere. It helps me to reduce the stress and sometimes even battle the waves of panic attacks. For me, this product is travel essential of all times, because it will help you to nap or merely be less nervous on the plane and also fall asleep better in the new country. 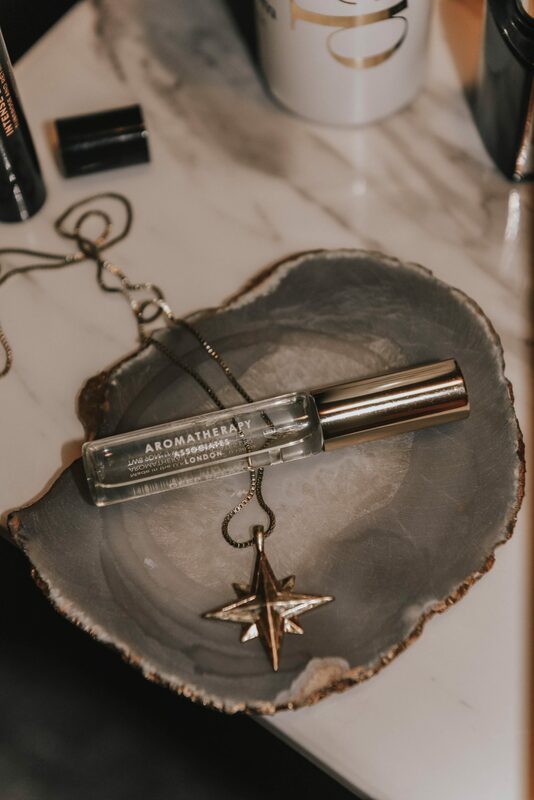 I sweep a couple of drops around my wrists and neck pulse point, so I could actually smell the scent, that is super pleasant (imagine the combination of soothing Vetivert, Chamomile and Sandalwood). I also use it while I practice yoga to help me with the breath and deeper relaxation.